MachPanel CRM – the cloud control panel for Dynamics CRM offers you everything you may need to provision, manage and administer fully segregated multi-tenant hosted Microsoft CRM 2015, CRM 2013 and legacy versions. It allows you sell and bill your customers for Hosted CRM. MachPanel is fully private labeled and offers self-control tools for resellers and end-customers. 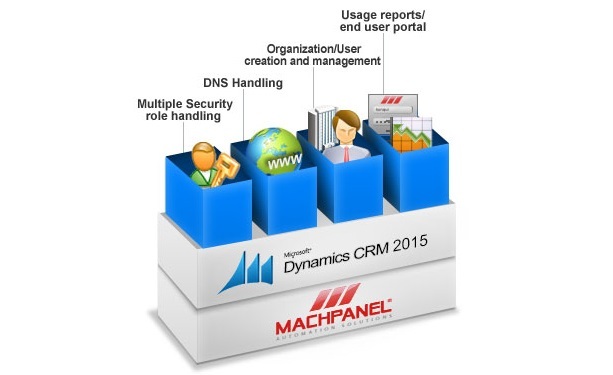 MachPanel CRM implements all operations of Microsoft Dynamics CRM 2015/2013/2011/4.0 together with support for ADFS 3.0, multi-tenancy, enabling your enterprise to improve productivity and work smarter. MachSol offers complete turnkey solution for migration of legacy Dynamics CRM platform to state of the art CRM 2013 platform ensuring minimal downtime and service disturbance. We can also help you to migrate from other control panel with ready to go migration toolkits.